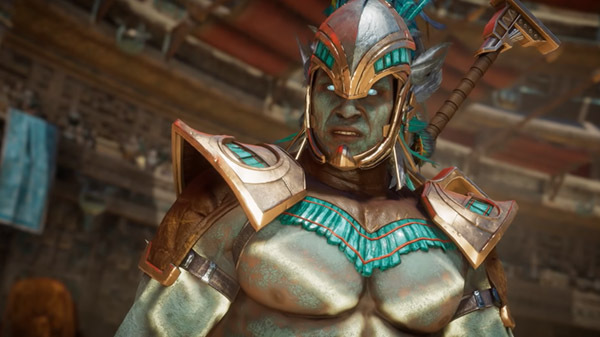 NetherRealm Studios and Warner Bros. Interactive Entertainment revealed today Kotal Kahn, a character who first appeared in Mortal Kombat X, will return as a playable character in Mortal Kombat 11. Scorpion, Raiden, Sub-Zero, Sonya Blade, Skarlet, Baraka, Geras, Kano, D’Vorah, Kabal, Jade, Johnny Cage, Cassie Cage, Erron Black, and Jacqui Briggs are among the characters that will be joining him as well. Please note that a closed beta for Mortal Kombat 11 will start from March 27 through 31. Those who pre-ordered the game will receive a code to redeem on their console that allows them to participate in this closed beta. Mortal Kombat 11 will be available on April 23 for Xbox One, PlayStation 4, Nintendo Switch and PC via Steam.